I recently saw a very funny interview with the increasingly popular, very talented comedian, Kevin Hart in which he talks about not wanting to make Black movies, just good movies. He brings up a great point. Will there ever be a time when a film is taken on it’s artistic merit alone and not pigeon-holed, kicking and screaming into a nice, neat, genre-compartment for the studio execs and marketing department? This film has all of the four leads played by actors who may be in the non-white/black casting bracket. Ok, so the four leads are not white but they speak English in the film, so it should be categorized as an American movie, as that is what it is. It’s a gripe of mine, the whole genr-ification of EVERYTHING. Art is art is art, ladies and gentlemen. The film is entertaining, everyone in it is great and it is filled with charm and comedy. Based on David Mamet’s brilliant play from 1974 and taking its title from the adaptation of this play made in 1986 starring Rob Lowe, Demi Moore, James Belushi and Elizabeth Perkins this version has been adapted by Leslye Headland and directed by Steve Pink (High Fidelity, Hot Tub Time Machine), this is updated and relocated to New York. 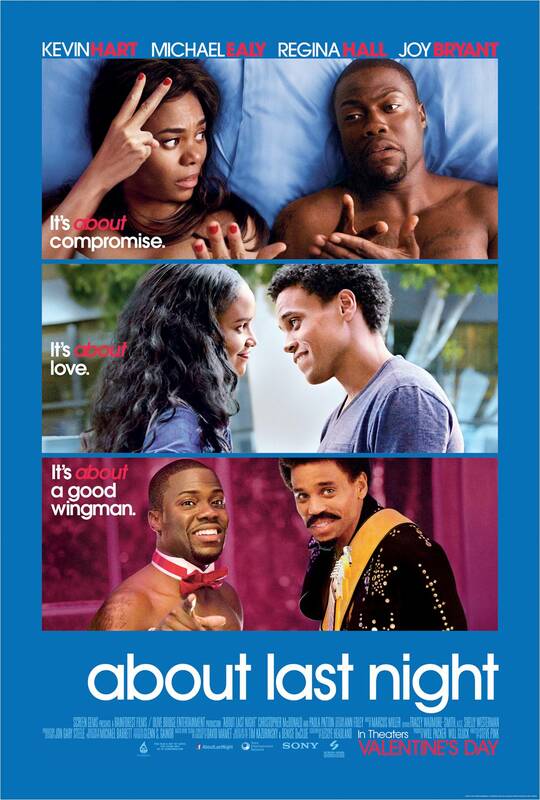 Kevin Hart (Bernie), Michael Ealy (Danny), Regina Hall (Joan) and Joy Bryant (Debbie) play the foursome, each bringing their skills and talent to telling this story of 2 couples trying to walk the precarious relationship tightrope that many have to deal with in this day and age. The comedy comes from Hart and Hall who have great chemistry and clearly make each other laugh. Christopher McDonald plays an old friend of Danny’s father and owns a bar that is in trouble, the always funny Joe Lo Truglio plays Danny and Bernie’s boss. David Greenman and Bryan Callen play Danny and Bernie’s mates. This film is as relevant now as the source ever was and although it isn’t amazing, there is a valid place for it.